What's been going on at St Mary's? details of the latest news and coming events. 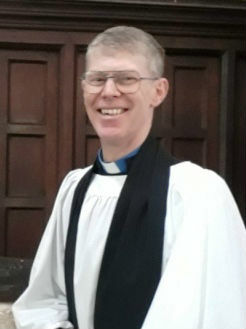 Simon was a curate at St Mary's from 2001 to 2005. "We are at last on the move. I've got a new job in 4 villages just north of Cambridge, known as OWLS, (Over, Willingham, Longstanton, Swavesey). We leave Sudbury on 1 May and I am licensed on 19 May." 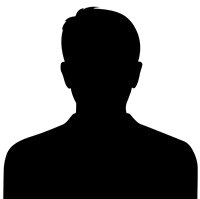 Simon's new role will see him act as team leader of a group of three clergy looking after the four villages. 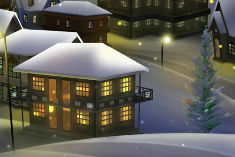 He will also be looking after a new town, Northstowe, currently under construction. Once completed, in 10 years time, it will house 26,000 people. 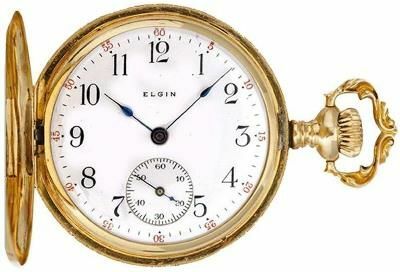 We hold the event in partnership with Reeman Dansie, the notable Auctioneers and Valuers of Colchester. Two of their senior Valuers visited us and offered valuations and advice on items of interest brought in local residents and others. 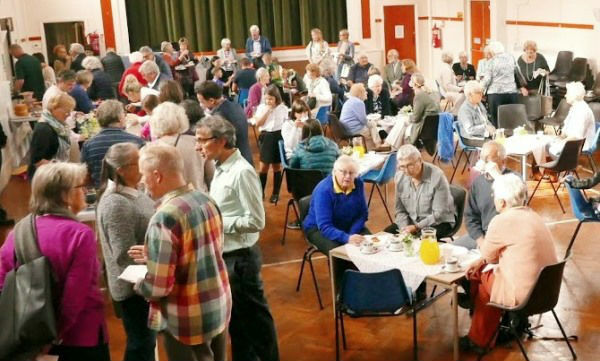 The occasion has a great atmosphere with a community feel about it, with half the hall being used for the valuations and the other used as a café with lovely coffee, tea and cakes being offered. Reemans offer their advice and valuations for a suggested donation fee of £3 per item with the proceeds going towards the maintenance of the church. 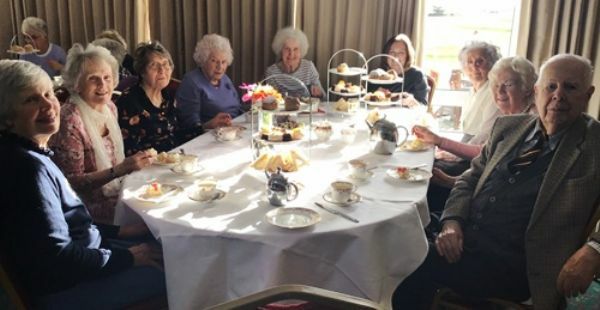 Frinton Rotary Club invited members of the congregation from several local churches to a splendid afternoon tea at Frinton Golf Club on 14 March. 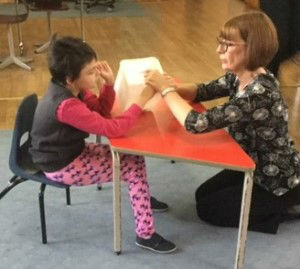 An absolutely wonderful tea was provided, with a very warm welcome, helpful staff, all accompanied by music on the piano. This was special opportunity to enjoy spending time together in lovely surroundings. Our thanks go to the Frinton Rotary Club for their kindness and generosity. 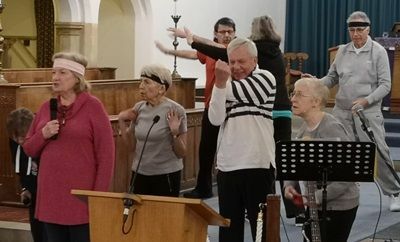 To mark the first Sunday of the Rector's sermon series on the subject of prayer, St Mary's Players performed one of Eddie McKay's amusing but thought-provoking sketches on the same subject. Set in the context of a fitness group wanting to be physically healthy, they discovered that you can pray to God anywhere, at any time, and you neither have to be kneeling or to remember the words of a formal prayer to pray. You just need to chat to him! Nathan has just returned from a retreat in New Zealand...more of which we will hear later. He asks for prayer that he finds time to rest in God and ask Him the question ‘Who is Nathan Edgell?’... and that he continues to go on that journey. Also, to please pray for the Busking Festival in Toowoomba on Easter Saturday, for which the local council have increased their funding. Nathan will be a judge and also performing his own music twice around the city. 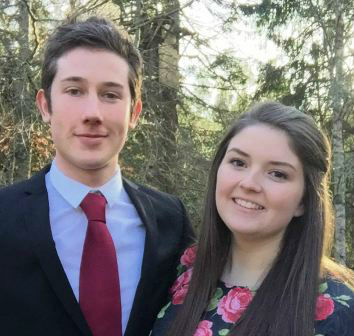 Alex and Tori ask for continued prayer for their present YWAM responsibilities and the new local church, where they are leading worship. They will be home on the 25 May for a few weeks. Alex asks for prayer that the itinerary works in with the schedule of his parents, who have sold their home and will be going on mission, as God leads them. Jessica asks for prayer for her media duties and financial position. She gives thanks to God that she is getting closer to Him, trusting in Him. She asks for prayer for her short return to Frinton in June, the last time she and her family will all be in their home together. 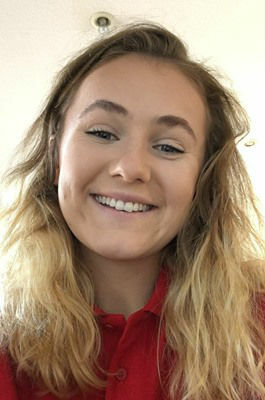 Sophie Hawes gives thanks to all those who are praying for her and asks for continued prayer for safety and success on her Outreach in Malaysia and Indonesia. She returns home this Summer and is seeking God's guidance for what she should then do. from Toowoomba, and here's a link to his blog. A lovely team of ladies have decorated the Old Church so beautifully with holly and fir, dotted with touches of red. I hope people can find the time to go in and enjoy the sight - a photograph does not do the decorations justice! It is a real Christmas treat! Many thanks to Ginny Richardson, Lesley Conley, Ruth Spellman, Sarah McNamara and Mary Meek! 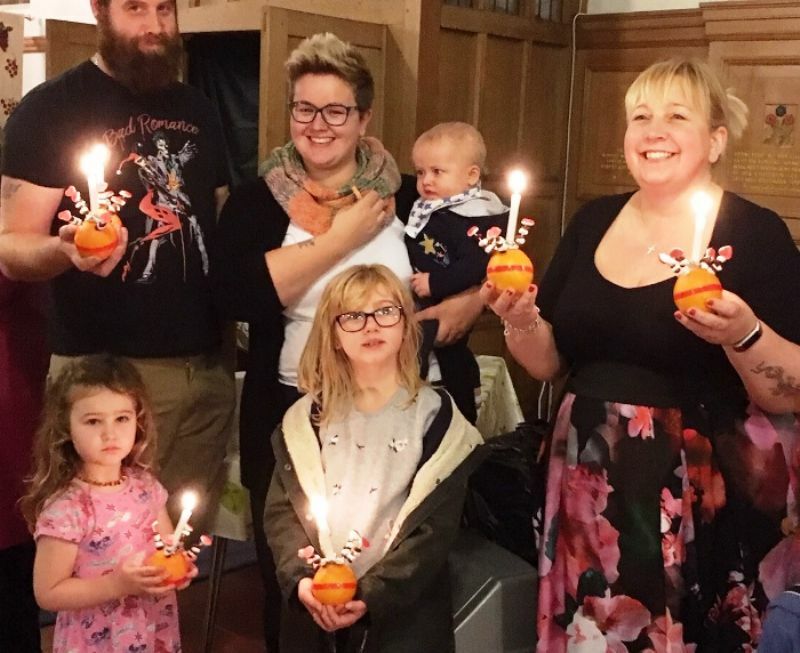 Children and adults came together at the Christingle for the first Christmas service in Advent 2018. Favourite carols were sung, Don Smith spoke about Christ being love and explained the meaning of the orange and its candle, the Christingle. Lights in the church were extinguished as everyone held their lit Christingles in a circle round the building and sang Away in a Manger. 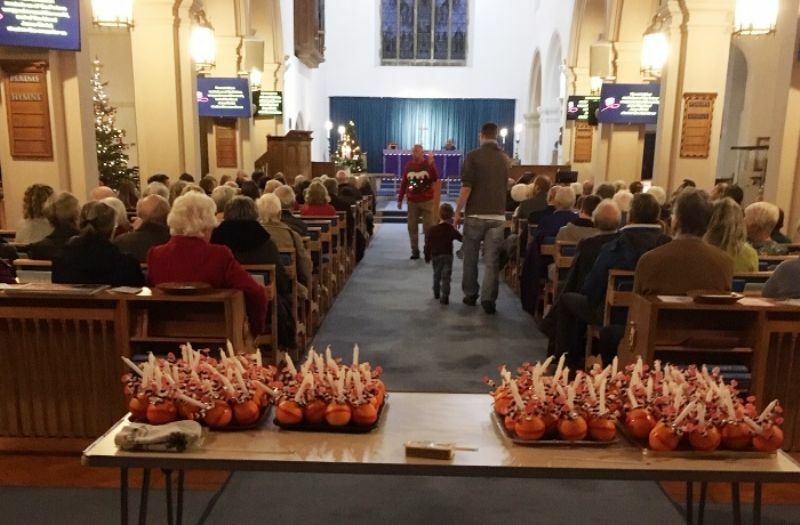 Thank you to everyone who helped to make last week's Christingle the special time it was. We collected the amazing amount of £325.43 for Water 4 All, that's almost 11 more units! 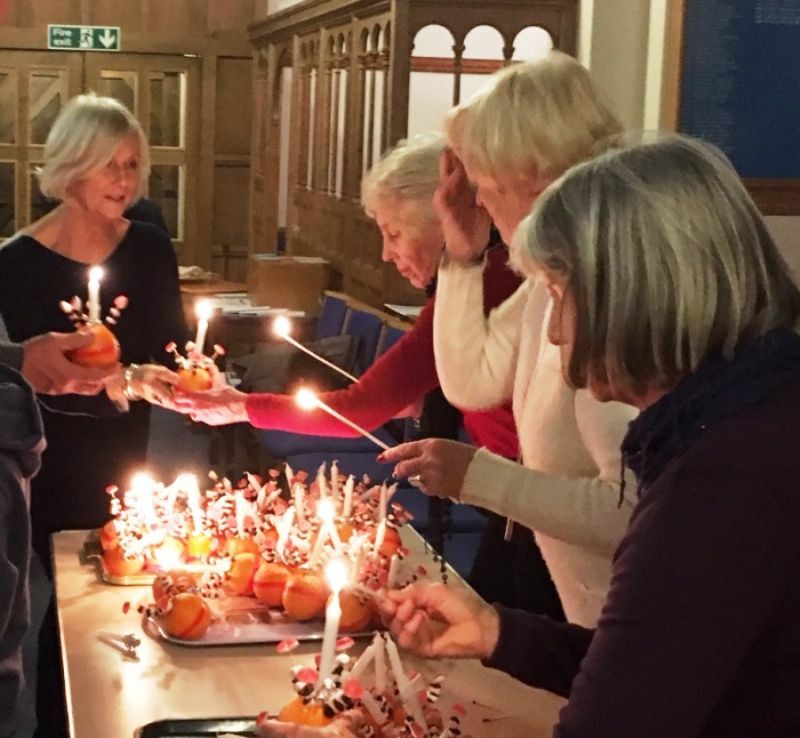 Thank you all and those who gave so willingly towards making the Christingles. The Rotary Club of Frinton-on-Sea held a carol concert at St Mary’s this evening. It was a joyous occasion of carols, readings and talks led by Rev Don Smith. Clacton Co-Operative Band and organist Rotarian Graham Keeble provided the music with the Walton Sea Cadets and the children from four local primary schools (St Philomena's, Frinton Primary, Walton Primary and Hamford Primary) taking part. the start of Advent and, of course, support their children! Sincere thanks to everyone who contributed to this year's campaign. We have had a magnificent response. Over 150 gift-filled boxes are now making their way overseas to children in need and taking with them a message of hope and of God's love. … is a small charity set up to help provide clean drinking water for two villages in Togo. When Gad Numadi saw the muddy water-hole which is the source of water for these villages, he felt he had to do something to improve the situation, and the health of the villagers. So our aim is to raise the money for 183 water-filtration units, each costing £30.00. 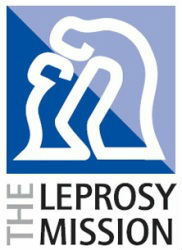 We recently held a Curry Night, which brought in an amazing, £632.00, which will enable us to buy 21 units! Only another 162 to go! If you have any questions or would like to support our charity, please contact me, Sue Jenkins, by email or on 07884 472998. 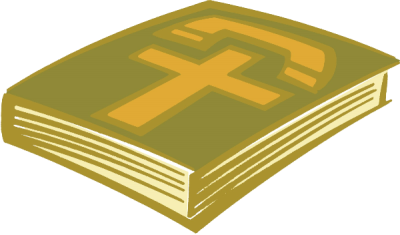 Please email the Church Office from Tuesday, 20 November to confirm your email address is correct and current and whether you would like to receive Church Directories and/or Notice Sheets from now on by email. All email addresses will be deleted from the St Mary's database on Monday, 19 November to ensure no unnecessary data is held. I will also have a master copy of the Directory on my person should you wish to make me aware of any changes that are needed, so I can try and get an update out before Christmas. Our new Administrative Manager, Dominic Gardner, starts work this Monday, working alongside our current Church Administrator, David Draper, for his final month in our employment. Dominic's job will not be the same as David's has been, but will also encompass overseeing other aspects of the running of a church, as well as processing all sorts of types of communication. Dominic - we welcome you! I thank you from the bottom of my heart for your generosity. With your contributions and God's help, we will hope to release people from this dreadful condition. You have helped me raise £630! Thank you so much for your support. 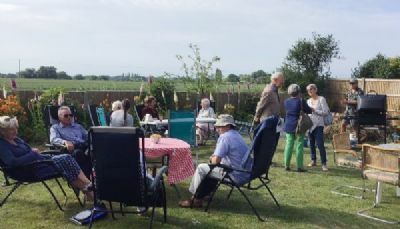 … to everyone who supported the Frinton Christian Community Care Coffee Morning last weekend. 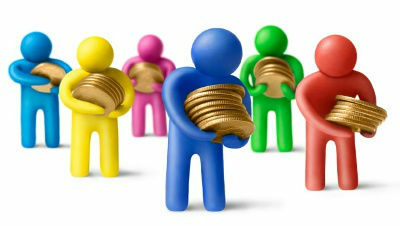 £71 was raised to support the continuation of the work. On Saturday, along with nearly 60 ladies from across the FACT churches, we enjoyed a lovely lunch of home-made soup and salad. Becky Harcourt, our guest speaker, encouraged us to dare to believe that Jesus will always be with us, and that we can be especially conscious of him in our hardest times. She shared something about her own personal tragedies, which had been a real burden to her until she learned that Jesus was able to free her from her heavy sense of guilt. She wants to help other people find that sense of release and freedom. She and her husband Paul have written a book, Walking on Water, explaining their experience of the difference that Jesus can make. The Jaywick Project Sale on 1 September raised £377.85! Thank you so much to everyone who gave items, donations, helped at the sale and bought items. Family and friends from St Mary's joined Norry Brient at the 9.30 morning service, which she always attends, to sing and listen to some wonderful music which Duncan Archard had organised with the choir in her honour. Malcolm Bryden congratulated Norry on reaching this special life-landmark and thanked her for all that she had done for the church! Everyone enjoyed the wonderful refreshments that Cate Wilby and kind helpers had once again created. Norry, pictured on the left above with her daughter, Heather, and Mary Jordan, who herself has just turned 98! We are most pleased to be able to report that the Summer Concert Series this year raised a total of £1,117.38, shared equally between Essex and Herts Air Ambulance and St Mary's here in Frinton. Many thanks to all the performers, audience and helpers who made this possible. Thank you to Gerda for another lovely evening on 22 August. 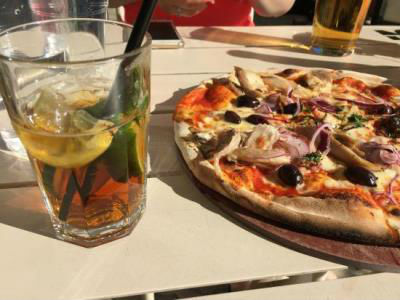 We sat enjoying each other's company, in her well-kept and fruitful garden, consuming Pimms, soft drinks, and numerous pizzas, in the warm evening sunlight. 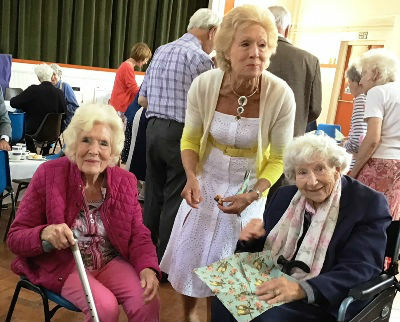 We so appreciate the opportunity to relax with old and new friends for a couple of hours, and are always pleased to have new ladies of all ages join our activities. We are very pleased to announce that Dominic Gardner has been appointed to take on this new job at St Mary's. It is likely he will start work in our church office at the end of October, overlapping with David Draper's final month before retirement from his post of Church Administrator. Thank you for your prayers as we looked for the right person for the post. What a great 9 days!! … a lot of Great Fun! So much to thank God for, whatever your age! and for those who will be returning to families who don't believe and may ridicule their new found faith. Don't miss the opportunity to invite people along to the FACT Alpha courses starting in September a great introduction to the Christian faith & still an ongoing part of our Mission. Once again thank you to all of you who helped in any way, and to all of you who prayed so faithfully, our prayers were certainly answered. Cate Wilby. 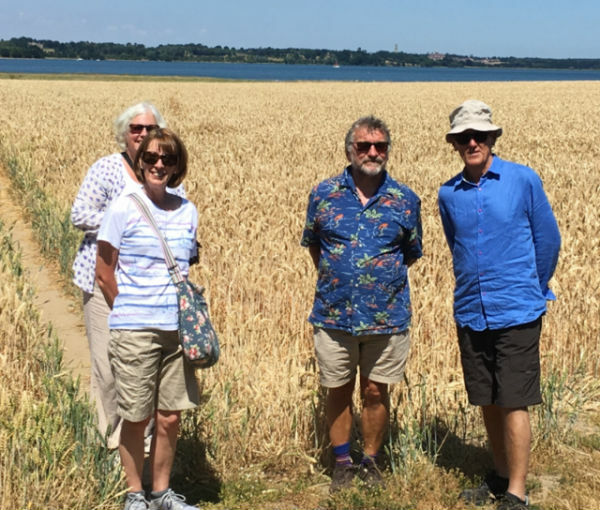 A group of happy walkers from St Mary’s followed The Essex Way along the Stour Estuary, stopping at All Saints Church for a warm welcome, tea and a talk on the church from Linda and Trevor Harvey. The sun shone, the sky and water were an incredible blue, the birds sang … a peaceful, joyful afternoon. Last stop was the Wrabness Community Centre where we were given a superb cream tea. We really should have then walked back!! 1. We want to say a big thank you to our caretaker, Stewart Atkins, for the large amount and high standard of maintenance he has been doing on the church premises, including roofing and cleaning, as well as varnishing and smartening things up. 2. Next year is designated, Year of Prayer 2019, at St Mary's. There will be a special Lent sermon series from the Rector, different Homegroup study courses including one at the church, a weekend at home and other events and opportunities all on the theme of prayer. 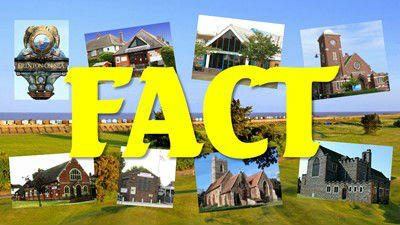 I'm delighted to let you know that the fifth Frinton Festival was a resounding success. Duncan Archard and I are thrilled with the way that the Frinton Festival Evensong has taken off - a large and enthusiastic choir treated an equally large congregation to a very special service. (See item below.) Before the festival started the Barbican Piano Trio performed to three hundred local primary school children thanks to the generous support of the Cavatina Chamber Music Trust. These concerts were followed by visits from our storyteller Kevin Graal. I am grateful to Jo and Brian Beattie and their team for enticing many of the children and their families to join us for spectacular tea and cakes at St. Mary's after the world premiere of the Remarkable Tale of Prince Unexpected. The concerts attracted attentive audiences and we received many glowing responses like the one here: "Thank you all for a truly magical weekend of superb music: from the delightful surprise on Friday afternoon through to the gleeful performance on Monday evening. Roll on 2019!" 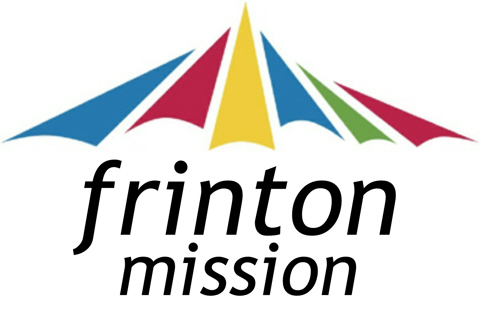 The next Frinton Festival will be from the 24-27 May 2019, please pencil those dates in your diaries. WoW ladies … and some gentlemen … enjoyed a delicious BBQ at Matt and Jo's home today. 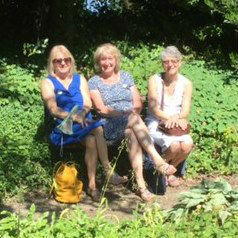 Sitting outside in their lovely garden with fields all around, friends chatted and laughed the evening away. 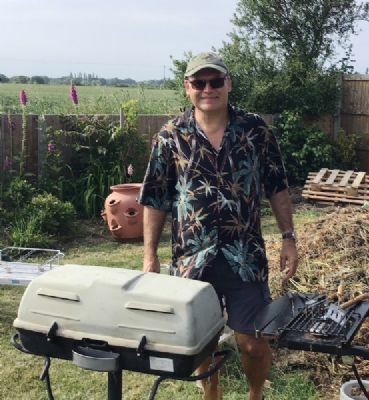 A big thank you to Matt for working so hard with the BBQ tongs and Jo for keeping the kitchen so full of wonderful salads, cakes, drinks, etc ... and to both of them for their warm hospitality! About 140 people came to a Choral Evensong at St Mary’s today. It was a beautiful sunny evening.... a celebration as part of Frinton Festival. Duncan Archard put the service together and rehearsed the choir, with local people joining in. The anthems were Holy, holy, holy from the Deutsche Messe by Schubert (one of this year’s festival composers) and I saw the Lord by Stainer which gave a vivid picture of Isaiah's commissioning. Stainer’s setting evoked in music the wonderment of the Glory of God. Thanks should also go to David Butcher, who so expertly accompanied the choir on the organ. The resulting service was totally uplifting; there was a glorious atmosphere, with God’s presence, by his Holy Spirit. The singing was exceptional, professional and powerful. Michael Knell led the service, with Brian Kyriacou giving an impactful talk on a reading from Revelation. 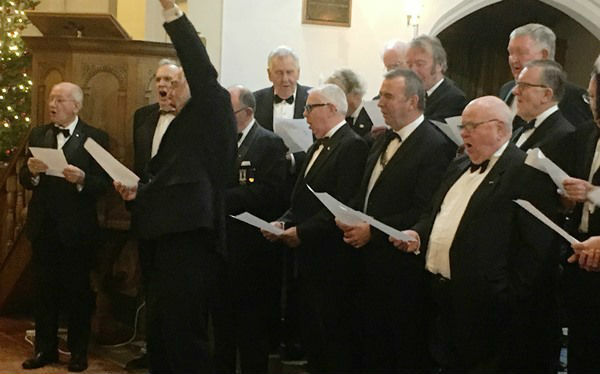 A very big thank you to the choir and to all those who took part ... including Andy and Tony who cheerfully supplied everyone with refreshments. On Friday, 18 May around 60 adults and 7 young people headed for Belsey Bridge Conference Centre in Bungay, Norfolk. The weekend started with a scrumptious meal, one of many. We then got to meet our speaker Mark Aldridge who works for New Wine. Afterwards the adults turned in quite early, but the young ones with more stamina watched the film The Greatest Showman. Saturday was a day of further teaching by Mark, he told us many personal stories relating to the Holy Spirit at work in his and other’s lives. On Saturday afternoon the young, Lauren, Sam, and Tricia braved the outdoor pool. There is sadly no picture evidence of Tricia in the pool. At 5 o’clock the group split into two with some watching the cup final and others watching the Royal wedding. On Saturday evening great fun was had at a beetle drive. 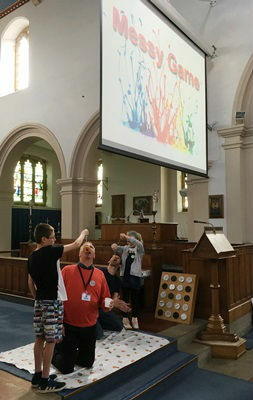 On Pentecost Sunday a time was spent with the Holy Spirit and Holy Communion was shared. The young people joined the group and shared what they had learnt about the fruits of the spirit. Sam and Lauren, with the help of Vince and Beth, provided a wonderful weekend for the young people and football was still being played as cars were heading home. The weekend was organised wonderfully by Marilyn Smith and Chris Glasby. 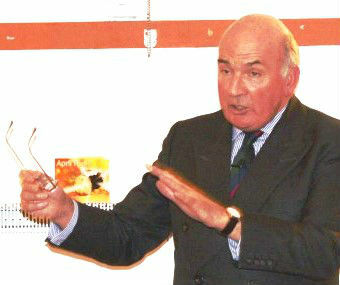 Our Guest Dinner with General The Lord Richard Dannatt, GCB CBE MC DL was held last week on Thursday, 22 March. It was a sell-out event with 96 seated guests. It proved extremely successful in every respect, including the fact that we had many friends join us who are not regular church-goers. Our guest of honour, General The Lord Richard Dannatt, is a former Chief of the General Staff and Head of the British Army. Lord Dannatt’ s after-dinner talk was inspirational and enjoyed by all. 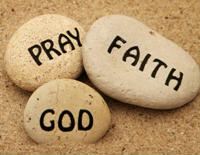 He included in his story testimony of his personal journey in the Christian faith. Lord Dannatt’ s parents Anthony and Molly Dannatt were faithful members here at St Mary's Church for many years. We can safely say that the dinner itself was of an outstanding quality, with tables waited on by our volunteer hosts who performed their function with great warmth and professionalism. The dinner was definitely one that will be remembered here at St Mary's for many years to come. 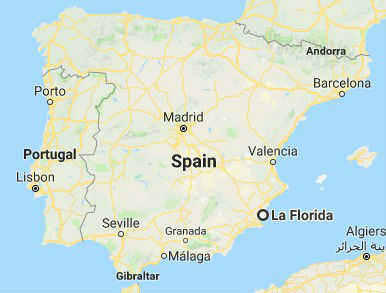 Margaret Johns, a relatively new member of St Mary's, has a holiday villa available to let in the La Florida district of Southern Spain (see map). Click here to take a look at some images of her villa, and here for further details of the let. If you are interested, please contact Margaret, either via me or, better still, directly via her email address. Our new caretaker, Stewart Atkins, recently had a chance to show his family around his new place of work. 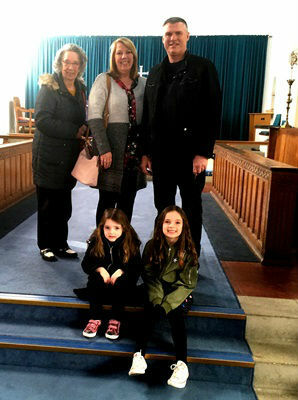 We were really pleased to welcome his wife Sue, daughters Lily and Betsy and mother-in-law Glad to St Mary's. Stewart started with us at the beginning of January and we are very grateful for all his hard work and unfailing cheerfulness! 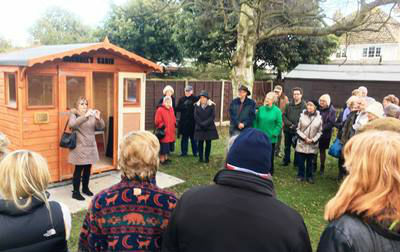 The Smallsorts Team want to thank you for making today such a memorable and joyful afternoon for the celebration tea and opening of Michael's Cabin. 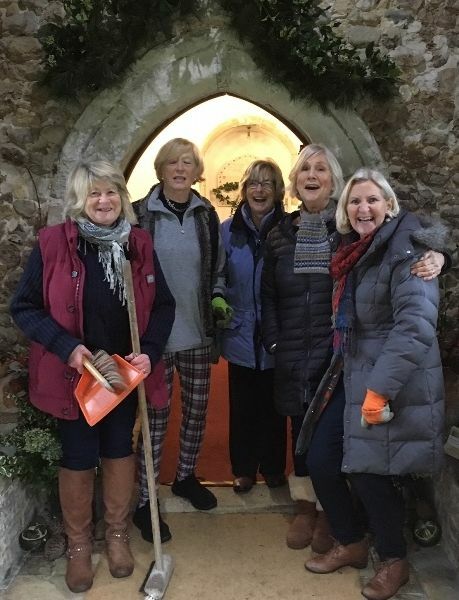 It is situated in the church garden and will be used by Smallsorts in the summer and children from any local churches and those at the Frinton Mission. Thank you especially to Vince the builder, Cate for her usual high-class tea and Sam for leading the proceedings. A special mention as well to the many who stayed longer to work in the kitchen and clear away - an afternoon of true fellowship. 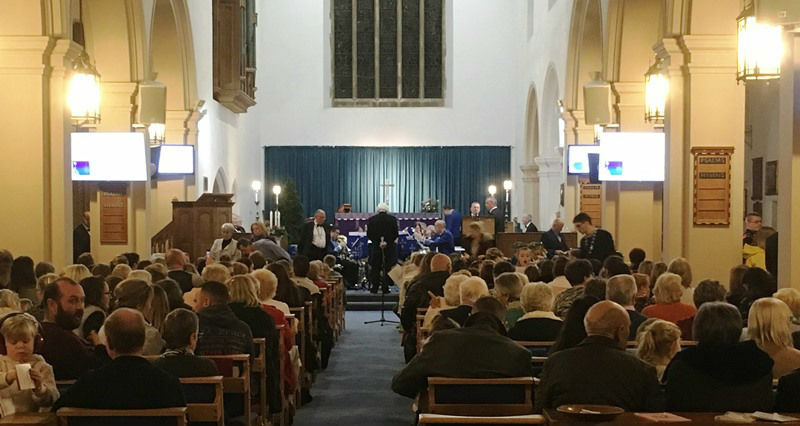 Frinton-on-Sea Rotary Club held their annual carol concert at St Mary's last Tuesday at 7pm, with approx. 500 people attending. It was a joyous evening with children from Frinton Primary, Walton Primary, St Philomena's and Hamford Primary all contributing carols. Walton Sea Cadets were also in attendance reading the prayers. 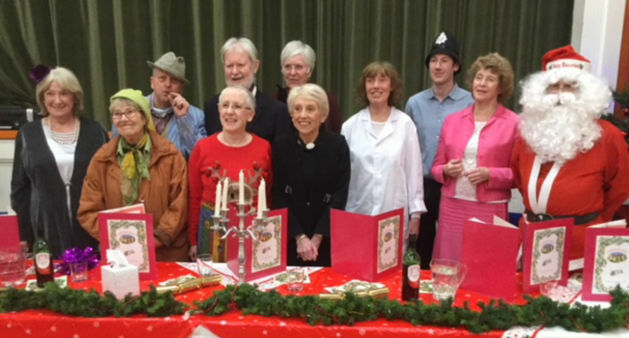 The cast of the St Mary's Players' Christmas Special Murder Mystery Evening, held on the first Saturday in December in the Church Hall. The evening included a splendid buffet supper supplied by Cate Wilby and her helpers. The action was performed in front of about 80 people! It was a great success with profits from the evening going to the Children's and Families' Worker Appeal. "Linda Edgell and I visited the Silvia Day Centre in Piatra Neamt in northern Romania at the end of November. Our Christmas Fayre this year raised a total of £1,245! Thank you to everyone for their help: those who provided and manned the stalls, and everyone from St Mary’s who supported the Fayre and made the hard work worthwhile. 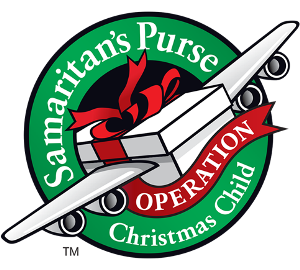 Operation Christmas Child - Good News! 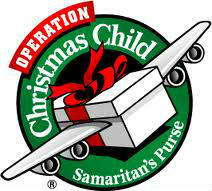 110 Christmas shoeboxes were collected from St Mary’s this week, and are now on their way to 110 disadvantaged children! Pray they will be safely received, expressing something of God’s love, and bringing joy to the heart of every child and home which receives them. Ruth Spellman would like to thank those who kindly sponsored her. She visited 20 churches in Clacton Frinton & Walton and received a warm welcome and was even able to enjoy refreshments at most! The sum of £900** was raised and Barclays Bank will match £750 of this. Thank you for your support. Sponsorship money can be left at Reception, clearly marked. **This sum is still rising! It is not too late to sponsor Ruth. WELL!! What a great 9 days!! Great Teaching, Great Fellowship and certainly a lot of Great Fun ... So much to thank God for, whatever your age!! Please don't forget to pray for those who have heard about the love of Jesus for the first time, and for those who will be returning to families who don't believe and may ridicule their new found faith. Don't miss the opportunity to invite people along to the FACT Alpha courses starting in September. A great introduction to the Christian faith. Still an ongoing part of our Mission. Once again thank you to all of you who helped in any way, and to all of you who prayed so faithfully, our prayers were certainly answered. 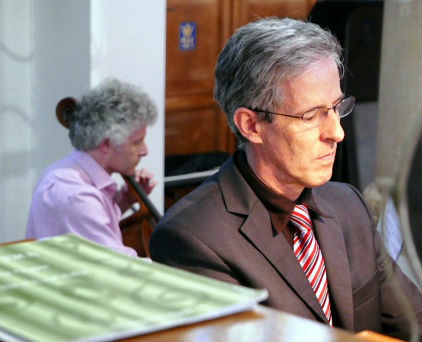 Thursday lunchtimes in June and July at St Mary's were filled with wonderful music, ranging from classical piano to more upbeat choral singing. Attendance was up, and the music enjoyed by many. We are blessed to have such a popular series in our church, so if you weren't able to make it this year, maybe next year. We raised £1356, half of which was sent to the Essex Air Ambulance, the remainder going to St Mary's funds. The next concert in the church will be performed by Stour Choral Society on Saturday, 25 November at 3pm, when they will perform Haydn's Mass in B♭, Britten's Ceremony of Carols and other seasonal pieces, accompanied by harp, piano and organ, and conducted by our own Duncan Archard. In July we delivered 50 food parcels to Jaywick, 25 for the elderly and 25 for families and children to help with the gap left by missing out on food at school. Thank you to everyone who helps this project with food and money donations over the year. Our next delivery will be just before Christmas which is only about 12 weeks or so away! Thank you for all your support. Eleanor Young. Would you like to be in our Prayer Directory, giving people your contact details, and being prayed for at least once a month? Everyone who is part of our St Mary's church family is welcome to have an entry. If you would like to see whether you are already included there are two copies of the current draft issue at the back of the church. If so, please complete a yellow form and give it to a receptionist or to Heather. 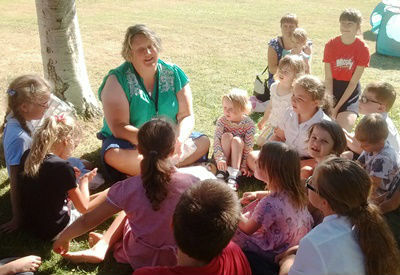 We had a delightful time in our sun-filled Church Gardens at our July Messy Church. Along with crafts and games we had an amazing talk from Clare about baptism. All was rounded off with our very own picnic bag! We look forward to starting back up in September! - Sam. 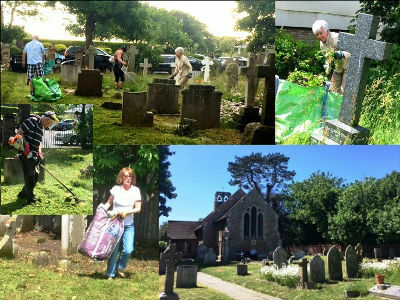 An industrious, jolly team of St Mary's volunteers, superbly aided by John Bebb's son Dave, strimmed , mowed, cleared and tidied the Old Church Gardens on Saturday. In spite of a thunderstorm, when rain stopped play and we sheltered in the church, the huge task was completed in under six hours. A big thank you to everyone who worked so hard on a very hot day. 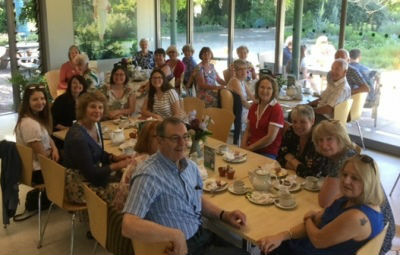 What a glorious day it was for WoW ladies and friends to visit Beth Chatto on Thursday, 25 May! The weather couldn't have been more perfect to appreciate the beauty of the plants and the perfection of the layout of the gardens. 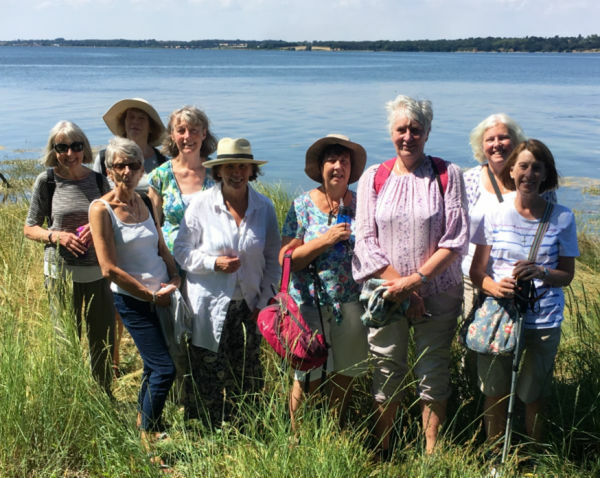 With 25 in our group, we could wander individually or with others, meeting and separating in a gentle, interesting way, as we strolled around the flowerbeds and ponds, beneath the many shady trees. We started with a short explanation from one of the staff, of how Beth and family had gradually brought life and order to the large, empty, boggy field around their home. They created areas ranging from the un-watered 'gravel garden' through to the water garden, all designed with the Chattos' adage in mind, The right plant for the right place. To bring the afternoon to a tasty close, we relaxed together over a special strawberry tea in the tearooms. Thanks toTricia for arranging this lovely outing! 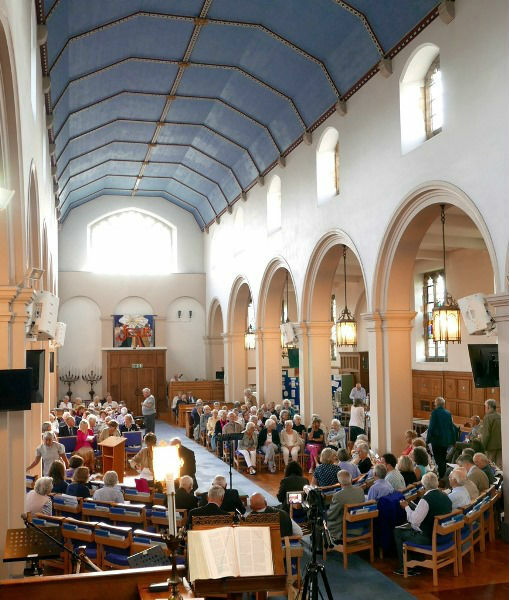 The annual coming together of many members of Frinton Area Churches Together (FACT) for a communion service on Maundy Thursday, was held in our church this year. Significantly, it takes place at the start of the Easter weekend, which encapsulates so much of our shared faith and beliefs. During the service, Emily Rowland was invited to explain 'Light up the Night', the project for secondary school age young people, being headed up by herself and her church, Coastlands, in June this year. Most FACT churches are contributing towards this, both financially and prayerfully. For two days an experienced and professional team of Christians will take music and science-based lessons at TTC, our local secondary school, then hold an exciting evening of entertainment at the Columbine Centre on 24 June. One of the main aims is to offer the Christian point of view to people who might otherwise only hear the world-view that science and God don't mix. Representatives from every FACT church helped serve communion to well over a hundred people, and FACT Chairman, Rev Graham Dallisson, preached on following the example of Jesus in serving each other. 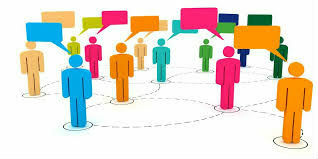 We thank God for the meaningful friendships there are in our area, across all the local churches. 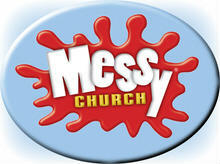 Thanks to all those who have been praying for the Easter Holiday Club in the week leading up to Easter Sunday. It was a great week with lots of fun as we celebrated together! Between 30 and 40 youngsters attended each day! 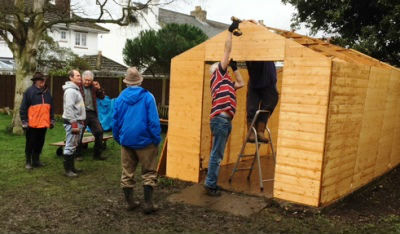 A big THANK YOU to the team who worked very hard in the rain taking down the old shed and putting together a new one... all in one day! Thank you to Ian, Malcolm, Don, John, David H, Brian, David D, Mike and Michael - very good job! The Life Exhibition was a great success with all the Schools that attended. We had about 300 children through the week and a good number from the churches of FACT on the evenings we ran. One of the local teachers said that it really highlighted the lack of teaching on the Bible and that they needed to address this issue within the school. There was lots of complimentary comments from children during the week. One child after watching the finishing Video about the Death, Burial and Resurrection of Jesus commented "I'm sad, because Jesus died. But I'm also happy, because he died for me". 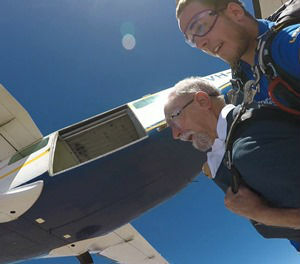 A big thank you to everyone who has supported my sponsored skydive down in Australia, raising funds for our daughter's Christian Dance Ministry. Your generosity has been quite overwhelming and is such a big encouragement. It is not too late to join in! I will be more than happy to receive other donations in pounds and get the money transferred to Claire in Aussie Dollars. Thank you too for your prayers which ensured a very happy landing! Please will you pass on my thanks for the toys which were used in Tottenham, where we are involved in ministry on three estates. 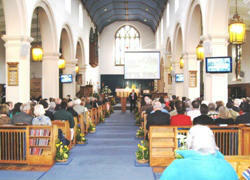 In more recent months we have been encouraged by the number of folk coming on Sunday and throughout the week. This has been the fruit of door to door visiting, schools work and gospel outreach. The toys are a powerful testimony that compliments the message of the gospel in a practical way. 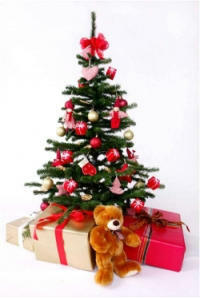 Those who received the presents are from a diverse multi-cultural background and struggle to make ends meet. Thank you. Terry Puttick, representative from London City Mission, who spoke at our Toy Service. 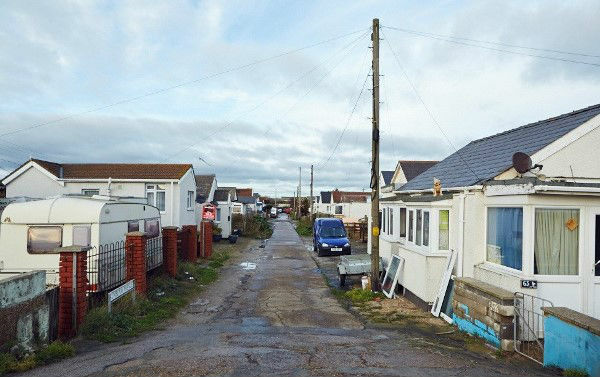 In December 25 food parcels were delivered for the elderly and 25 for families and children in Jaywick. In addition we supplied bananas, apples and pears for 70 children to add to their presents at the annual pantomime. Thank you everyone who has donated tins and money to the project in the past year. Our next delivery will be in April so thank you in advance for any donations you are able to make towards this. Thank you also very much to Brian Allen for his ongoing help with managing the goods in my absence. The Christmas Shoebox Appeal is underway again. 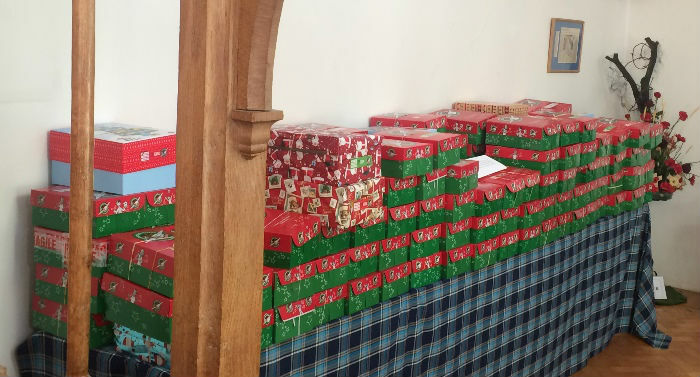 This brings God's message of hope to disadvantaged and needy children in parts of Eastern Europe and Central Asia through gift-filled shoeboxes. Leaflets giving detailed information are available from the back of the church and the Lounge. are available to buy from Reception at 50p. Absolute cut-off - NOON Thursday, 17 November. Thanks for your ongoing support. Helen Whybrew. This year, October was our Gift Month and the focus was on helping to make the employment of a Children's and Families' Worker sustainable, for many years to come. We are thrilled to have Sam Puttick in that role now, and are very pleased with the different community contacts he is building, and the opportunities he is taking to work with children and young people of all ages. His heart is to share the love of Jesus with as many children and adults as possible; we recognise and want to help develop his ability to do that. 3. Donating a lump sum to general church funds (as above). or the Church Secretary if you would like to contribute even now. We've been overwhelmed by the response to our request for toys while Rachel and family are staying. I guess we should have expected no less, but the love and generosity that those offers show comes from the Lord via many. So heartfelt thanks to all you kind Church Family members - but no more please! Don the Rector was his normal laid-back self with the ability to put us all at ease very gently throughout the service. His message can be heard again on the church website. Pat Philbrick and her team had done a wonderful job of decorating St Mary's (see images here). A full house of people from all of the Sunday services gathered after the service for a celebratory Harvest Lunch. There was a good mix of old and new Christians and also a few from other parishes - Southend even! That's what I call an 'outreach'. Not sure of the total number who actually attended but there was no shortage of food and no shortage of conversation. We were joined at our table by Mrs Smith, Karen to everyone, and there was never a pause in the conversation. She finally ended up pinching my Branston pickle! A huge round of applause to the organisers of the function who advertised, managed and even waited on tables. I have to admit that when I hear the name of Cate Wilby mentioned at any function, then I am the first to add my name to the list of attendees - Mary Berry could learn a few things from our Cate. WOW! Thank you to everyone for their donations of food and money for Jaywick. We delivered 20 food parcels for use during the summer holidays. I also received a letter thanking us for the cheque for £1,100 for the pantomime to be held at Christmas. 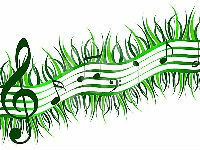 Thank you to Duncan and all concert goers for their support at this year’s concerts. 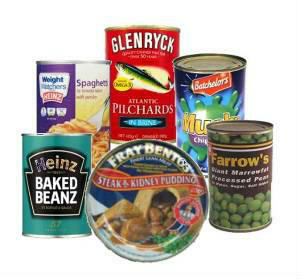 Our next food delivery will be in December for both elderly and young families. Thanks for your ongoing support. 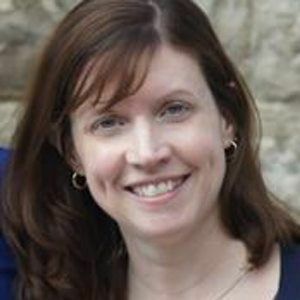 Eleanor Young. Tony Rees’ talk supporting the recent performance of the musical Oliver! in the FM Marquee is available to listen to or download via this link. The audio recordings webpage offers this and other talks going back to 2012. Please get in touch with the Church Office, if you would like further information. We enjoyed a wonderful Service of Celebration at St Mary's this morning to mark Her Majesty's 90th Birthday. 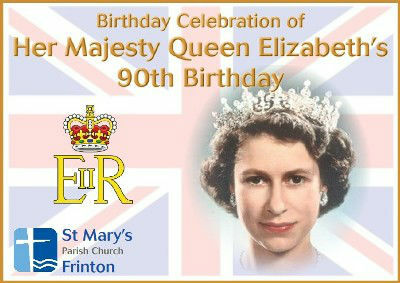 Invitation cards had been sent to every home in Frinton. The church was packed out with over 300 people attending, and we had a brilliant service (including a very challenging sermon from our Rector, Don - click here). 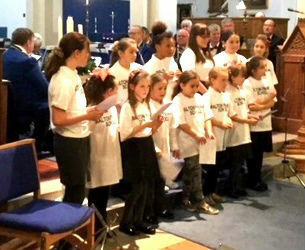 St Philomena's School Choir sang for us - all in all, brilliant! 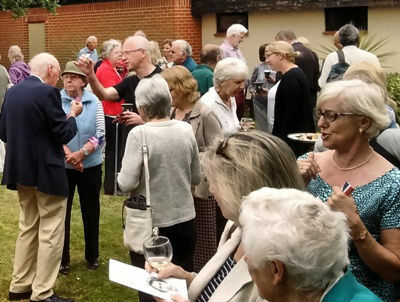 Champagne and canapés were on offer in St Mary's Memorial Garden afterwards. What a fantastic team effort to put on such a splendid occasion. Download the Order of Service here! 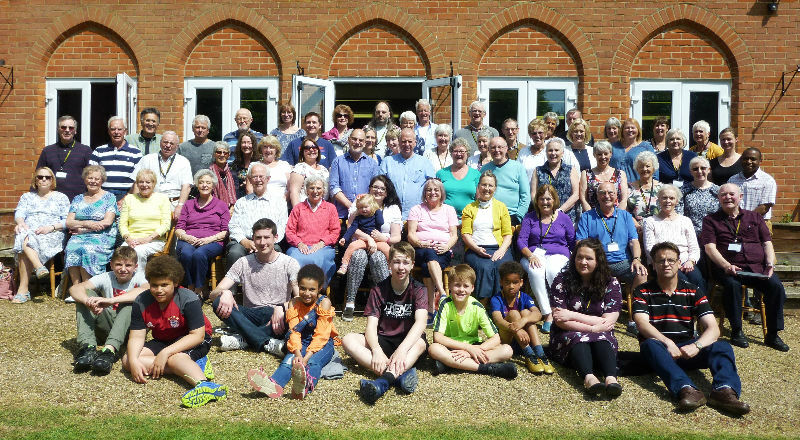 62 people attended the weekend and everyone enjoyed a time of happy fellowship. Our speaker, Peter Cockrell, was very interesting and challenged our understanding of where we were in Christ and what a Christian is. He left us with lots of questions! A change in the seating in the nave - officially called 'Re-ordering the Church' - was planned for April. 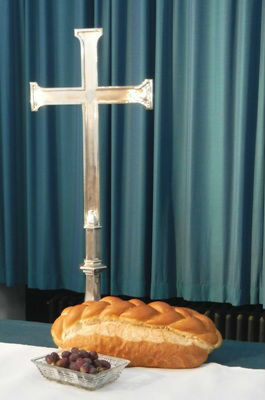 We received permission ['The Faculty'] from the Diocese of Chelmsford to carry out this re-ordering. 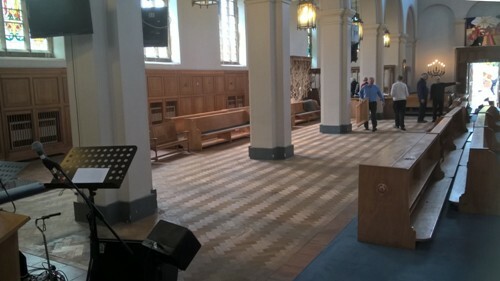 New chairs have been installed in the nave of the church, with pews being moved to the sides. The new chairs resemble the chairs already in use at the west end of the building. A number of the pews have family memorials engraved at their ends. All these memorials have been retained and if you have knowledge of any of the church pews' history or you know of families who no longer attend St Mary's who might have such links to these pews, please contact Heather Ursell (Secretary) or Peter Wood (Churchwarden). Several of the old pews are redundant and we have permission within the faculty to sell them off. Anyone interested in buying one (or more) please contact Heather or Peter. In liaison with Reeman Dansie, Auctioneers and Valuers of Colchester, we held our first Antiques Roadshow. 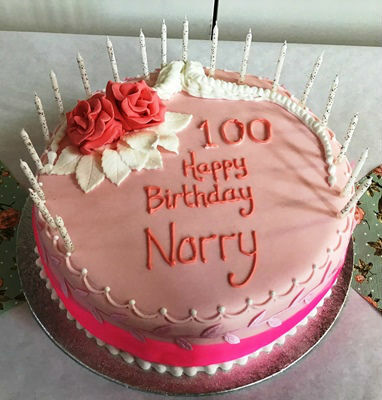 The valuers were kept busy throughout and a section of the hall was laid aside as a café with hot drinks and very tasty, beautifully made cake available ~ spoken by a real expert on the subject! We were pleasantly surprised by the number of visitors, many of whom had come from the Clacton area as a result of the good publicity. Numerous conversations were had with folks who wouldn’t normally visit the Church so it all added up to a very worthwhile event. The Roadshow made a total of £330 from the refreshments served and the donations from those people who had a valuation carried out. We plan to have another similar event, certainly within the next year. Well done indeed to everyone involved. - Karen Hepworth and Peter Wood. 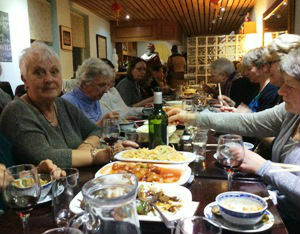 A number of Women of Worth ladies met at the Jade Restaurant in Connaught Avenue on Tuesday, 1 March. The food was fabulous, the company was enjoyable and the fellowship a blessing. This was a great opportunity for making new friendships. The only downside was not being able to talk to everyone at the long table! and giving them to Jean Clift. 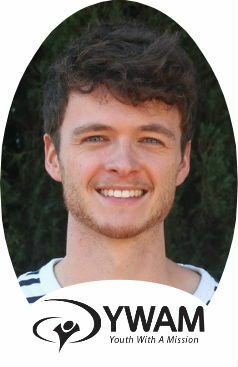 I am delighted to announce that Samuel Puttick, at present working for a Christian Adventure Centre in Scotland, will be joining St Mary’s as our new Children's and Families' Worker on the 21 March. 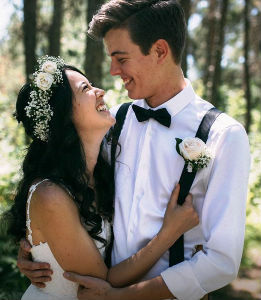 Sam and his wife Lauren, who is expecting their first baby in June, are now living locally. Please pray for them as settle in to their new life in Frinton. 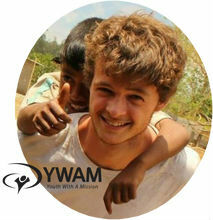 Nathan is currently attached to YWAM in South-east Asia, but he was home in Frinton for Christmas! On Monday, 11 January there was a special evening to come along and hear from him in words, pictures and music at 7.30pm here at St Mary's. Listen again! or watch the video!